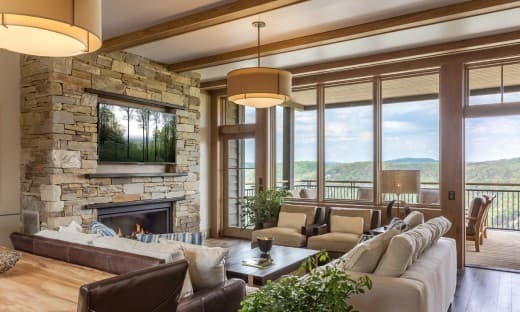 The Pinnacle Cottages at Primland Resort are four separate structures perched on the edge of the Blue Ridge Mountains in Virginia. The cottages house four guest suites and each room offers spectacular views of the gorge below. 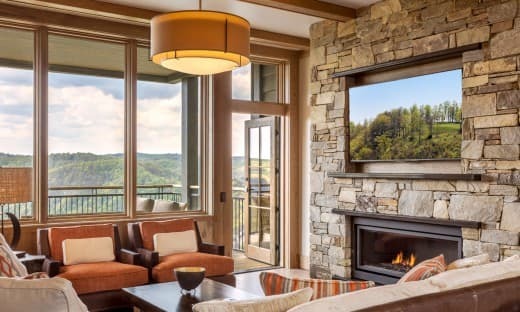 Eight of the sixteen suites contain living areas with fireplaces and kitchenettes, and a large covered porch in addition to a private bedroom and bathroom. 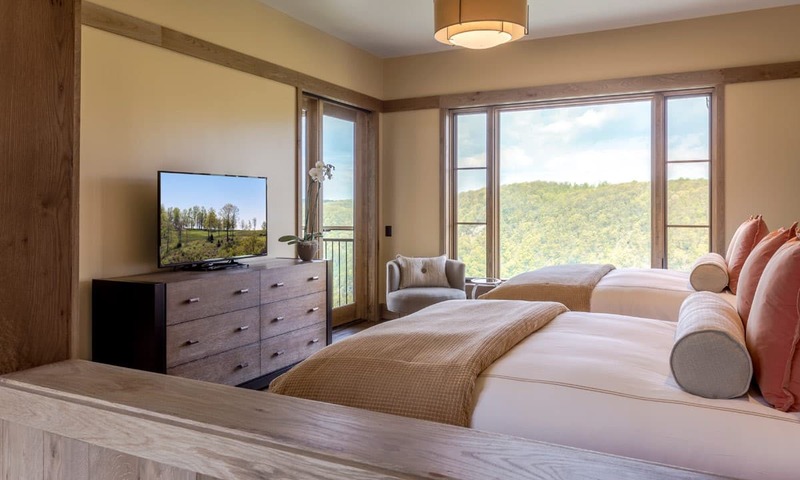 The remaining eight smaller suites are configured as conventional hotel suites, with a private bedroom, bathroom, and balcony. 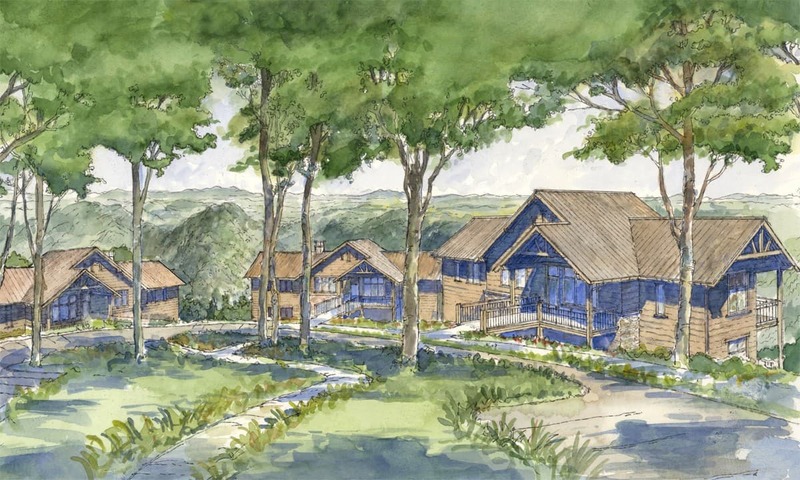 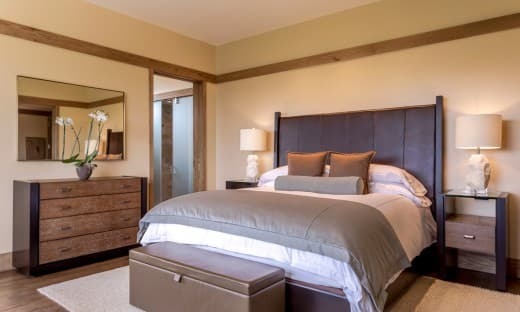 The Pinnacle Cottages at Primland have a dark and woodsy palette with stained wany-edged white pine siding and heavy timber accents to compliment the natural setting within this 12,000-acre resort. 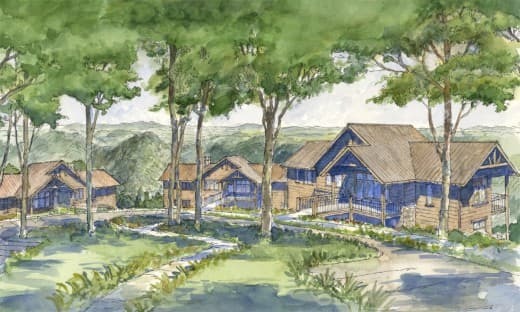 The cottages are accessory to the Main Lodge, which consists of 26 guest rooms, 2 restaurants and a world-class spa, among other guest amenities. 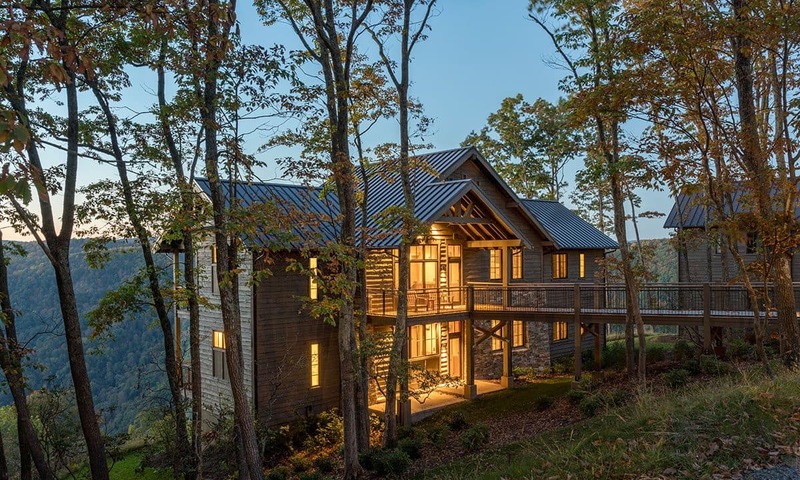 The Pinnacle Cottages continue Primland’s established aesthetic of natural and native exteriors with “warm modern” interiors. The interior palette consists of natural materials, like stone and white oak, applied in a composition of clean lines and simple forms.